SUPER JUNIOR WON DISK DAESANG! 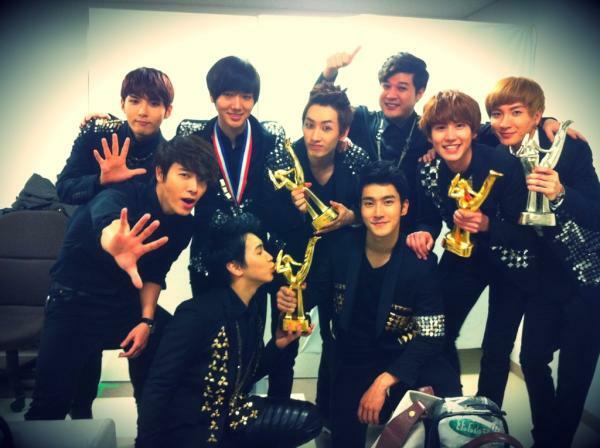 since debut, SJ has been awarded 13 trophies in GDA. People said that this is the best record since GDA started(since 26 years ago) ! I'm SO PROUD! my feeling right now is indescribable! all of our hard work in 2011 has paid off! it's more than we wished! now i'm more than happy to continue reading!